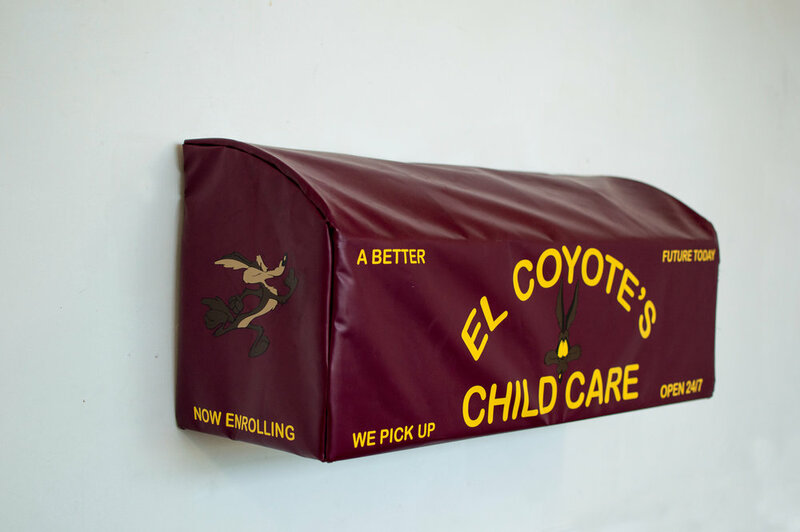 El Coyote is a response to an often overlooked issue of immigrant child detainment centers in the southernmost states of America who share a border with Mexico. This dangerous and challenging journey is often made by children fleeing violence and poverty. If captured during the crossing, government officials hold the children for undeterminable periods of time until a judgment is made on their deportation status. 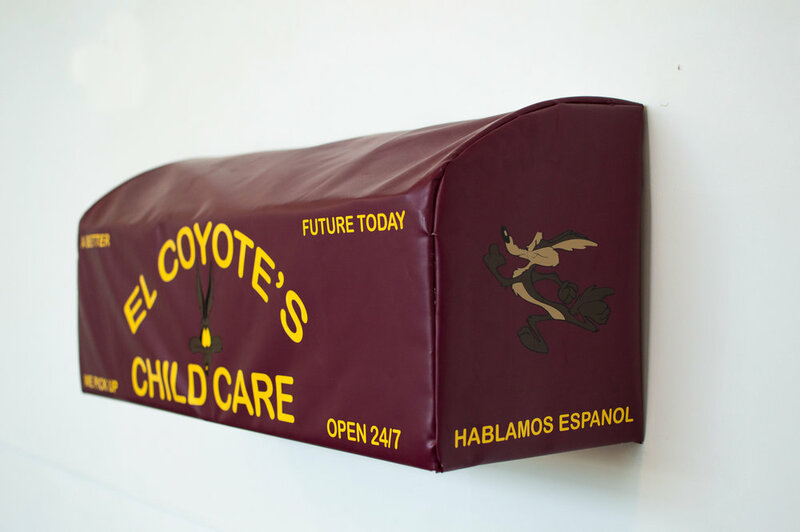 Combining, both my Latin American heritage and my American upbringing, I employing the ubiquity of the bodega sign by transforming the sign, often a symbol of positive Latin American growth, into a beacon for political discourse.